Canadian Homeline Circuit Breakers provide the high level of protection you expect from Schneider Electric. The industry's best value in circuit protection in a 1 inch wide industry-standard format for one-pole circuit breakers. Homeline breakers feature Qwik-Open circuit breakers, which give homeowners a new standard for reliable, fast acting circuit protection. Typical application for a double pole 60A circuit breaker is to feed a subpanel for additional circuits in the home. Canadian Homeline Circuit Breakers provide the high level of protection you expect from Schneider Electric. The industrys best value in circuit protection in a 1 inch wide industry-standard format for one-pole circuit breakers. Homeline breakers feature Qwik-Open circuit breakers, which give homeowners a new standard for reliable, fast acting circuit protection. Tandem and quad space saver circuit breakers are ideal for adding additional circuits to an existing Homeline panel with limited space. Adding tandem or quad breakers double the number of circuits in a panel. 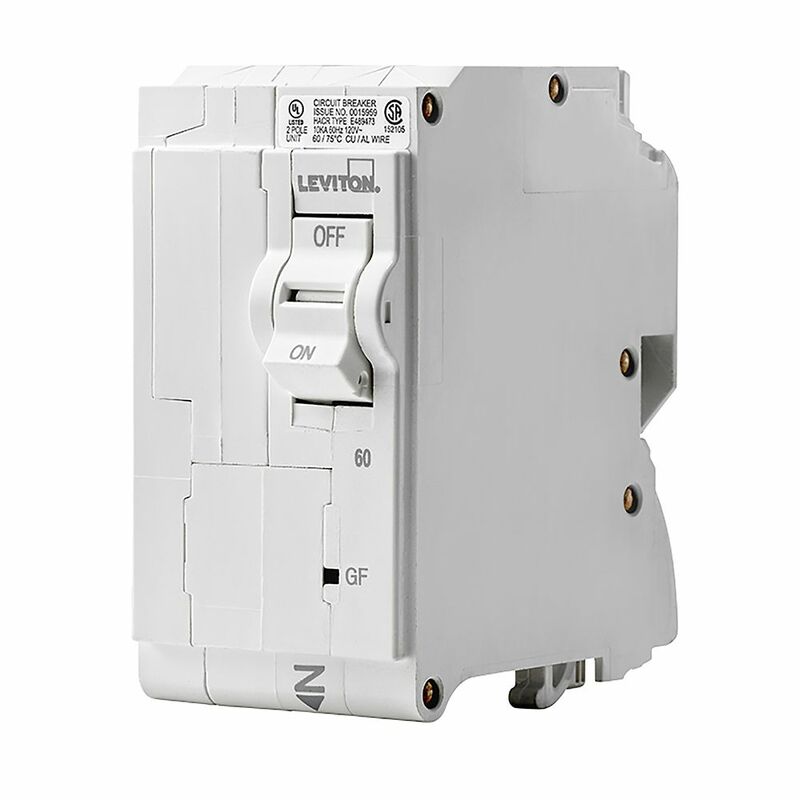 2-Pole 60A 120/240V GFCI Plug-on Circuit Breaker Leviton Circuit Breakers provide overload and short-circuit protection and feature an all plug-on design. All hot and neutral wires terminate at custom lugs in the panel, not at the circuit breaker, so the entire panel can be wired at rough-in without circuit breakers installed. Leaving the option of having the circuit breakers easily plugged-on at final installation. They also feature color indicators in the handle to easily see operational status at-a-glance.